Choosing January 1st as your release date has always seemed a peculiar artistic choice to me (if it is indeed an artistic choice at all). Firstly, won’t too many people be suffering from hangovers from the night before to get up and buy/appreciate your new music? Secondly and more importantly, it presents a clear dichotomy between recording date and release date; unless there were some incredibly last-minute additions, all the recording will have been done the previous year. Permanent Waves, Rush’s seventh album which propelled them towards a more commercial sound whilst retaining the progressive elements that made them so great, was released exactly 39 years before Gone, the first solo album by Kyros and Edge of Reality guitarist Joey Frevola, and shares this bizarre symptom. Released on New Year’s Day 1980, Permanent Waves has correctly been described as “the first album of the ’80s”, a title I suppose it shares with any other record that was released that day. But does that mean it’s an ’80s album? All of the music was recorded in 1979, so wouldn’t that still make it a ’70s album, awash with the sounds and influences of the closing decade? All of this is utterly trivial of course, but I felt the need to take this one in three hundred and sixty-five opportunity to make a point that’s been bugging me for years. If you’re into Frevola’s other projects, you may be quite surprised by what you hear on Gone. 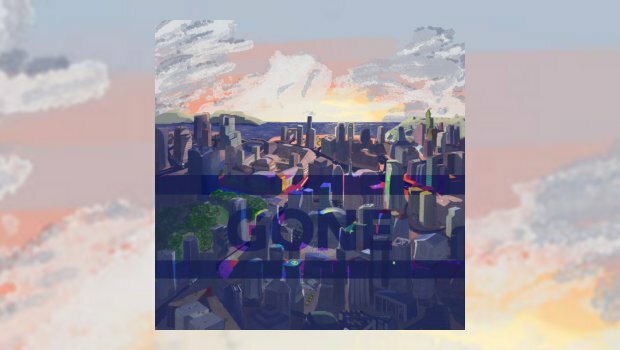 Gone indeed are the heavy sounds, quirky arrangements and the embrace of new technology, but the quality songwriting remains. The album’s title font may remind you of Muse, but this is purely a coincidence. Gone is a concept album in the most traditional sense, telling a flowing narrative through operatic music. In fact, it almost sounds old-fashioned with reliance upon orchestral instruments such as the flute, violin and trumpet. And these aren’t just one-off cameos or gimmicky additions; the instrumentation is woven throughout the album’s hour-long duration, giving the story a distinctly grand identity. The album begins neatly with two instrumental tracks, the second carrying a theme that will be heard throughout the album, a staple of the concept album. This builds up hope for a mostly instrumental album… hope that is dashed when you realise the only other instrumental track, Footprint in the Grass, is only a minute long. Didn’t people learn anything from The Astonishing? The main focus of progressive rock should always be the music, and concept albums with complex storylines run the risk of paying too much attention to the lyrics. Fortunately, Frevola leaves lots of room for the music to elaborate and emote. Let me, for a moment, draw some comparisons with two of my favourite concept albums of all time. Tommy by The Who, was the first concept album I was introduced to (if you don’t count Sgt. Pepper, which I definitely do not) and relies on simple, straightforward lyrics that grab your attention, written mainly from the point of view of the characters of the story. The Snow Goose by Camel, on the other hand, is the exact opposite, with absolutely no lyrics at all, the music simply providing the pure emotion of the story. The track titles give very little away about the story, originally penned by Paul Gallico, but are enough to give the listener a mental picture, which will likely be very different from person to person. Both of these albums have common ground: they immediately grab the listener with their originality and hold onto them until the resolution. Gone, on the other hand, falls somewhat short on the storytelling front. The lyrics, whilst descriptive, tend to get lost behind the music and don’t pull you in. The emotions throughout are also unclear; in Empty, the protagonist finds himself alone, but the music seems jubilant. Even after several run-throughs of the album, I still can’t make head nor tail of what is going on in the story, and yet Frevola has teased that there may be a sequel. My biggest reservation about the album, however, is that it’s simply too safe; too twee. It’s produced so well, and with such rich instrumentation that by the end you’re longing for something rawer, something harder. It’s hard to say exactly why, as the music is adeptly written, skilfully played and doesn’t fall into the pitfalls of a lot modern-era retro-prog. But it feels like Frevola erred on the side of too much restraint, too much maturity to make an almost classical prog concept album. So while I have no problem recommending Frevola as an extraordinary musical talent, and Gone as an excellent example of progressive rock in the 21st Century, I wouldn’t say this story has been as entertaining as it could be. Fortunately, the man himself has assured me that his next opus will be very different indeed, and I look forward to seeing where his talents take him next.